One of the scary things about making the leap from property renter to property owner is the idea of maintenance and upkeep. You’re no mechanic or repairman. You don’t know a socket wrench from a sheep ranch. And calling repairmen—how do you know you’re not going to get ripped off because of your lack of knowledge? One solution is the home warranty. These are sometimes offered as part of the buyer’s incentive package when you are buying a home and you have the option of buying your own before closing as well. Additionally, all home warranties and companies are not created equally. Make sure to do your research and ask your agent. - The service provider will call you to make an appointment.- The service provider will fix the problem. 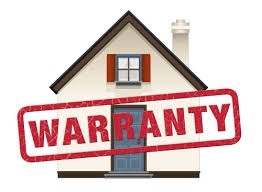 If an appliance or system is malfunctioning and can’t be repaired, depending on your contract coverage, your home warranty company will pay to replace and install the appliance. Contact me if you have any questions about Home Warranties.